The second: You take the course. You start down a path of acquiring a skill you’ve always known you wanted. You start to see life in color. Vivid yellows and hues of emerald begin to jump out at you in places you’ve never seen before. Your dreams become goals. And your goals become a reality. Stop dreaming. Start creating. You already know what you need to do. In this course we go from 0 to 100 real quick. We don’t cover all the knobs, switches, and circuits within the software. I give you only what you need to know to start creating your own sounds. I also include my own Ableton template to get you up and running quickly. This course covers only the very basics, for more in depth tutorials stay tuned for classes rolling out in the next few weeks. 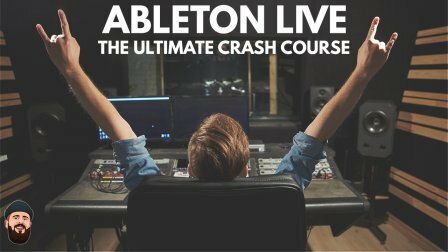 Skillshare Ableton 101 The ULTIMATE Crash Course TUTORiAL has been exclusively released on AudioZ by Fantastic who chose to ask not to post mirrors. Handbooks are always handy. Thanks Fantastic. and there goes the course 20.453 of Ableton for beginners promoted like the holy grial. This is some serious business! Makes it sound like the scene from the Matrix where you gotta decide between the pills. Well gee since you put it that way I guess I'll have to download this.